If email marketing is known to produce results across a variety of industries, why do some professionals feel uncomfortable with it? Why do they feel “slimy”? It is not uncommon for people to feel hesitant to engage in email marketing because it somehow feels “wrong” to them. There are several factors at play in this limiting belief; in this article, we shall shed light on them to help dispel this feeling so that you can confidently get to work and grow your business, knowing that you are actually helping others. How do you sort through your email each morning? If you’re like me, you probably receive numerous emails overnight. Most of those emails fall into three categories: personal notes from friends, family members and colleagues, irrelevant mass emails and relevant marketing emails. The first category – personal emails – probably gets your immediate attention. What about all of the other emails you receive? There are probably some irrelevant marketing emails that you delete without opening – perhaps promotions for stores you no longer like. What about that last category of emails – promotional emails that add value to your life? It might be a coupon for your favorite restaurant. Or you might look forward to receiving an information newsletter that speaks to your interests and goals. Monthly Email Newsletter. Adam Grant, New York Times best selling author of “Give and Take: Why Helping Others Drives Our Success,” publishes a monthly newsletter called GRANTED with links to his articles and other material he’s found online. For those interested in the intersection of work and psychology, it’s an excellent email newsletter. Signature Trait: Adam Grant’s strong personal brand. Ecommerce Marketing. Amazon’s email marketing, often informed by your shopping patterns, illustrate that large companies are able to personalize marketing with their data. For example, if you browse through health books then Amazon may send you a “reminder” email to take a look at those products again. Discount Marketing. Old Navy sends classic discount offers like “buy one, get one” offers, holiday sales and other promotions used by retailers for decades. These offers are easy to understand and act on. Simplicity in email marketing is one of the best ways to win. Signature Trait: Limited time offers that save you money if you act by the deadline. Where Does the “Marketing is Slimy” Feeling Come From? Many health care professionals are reluctant to engage in marketing because they feel it is somehow inappropriate. In fact, many professionals, including attorneys and accountants, have a similar attitude about marketing. There are three likely explanations of this aversion to marketing. Traditional marketing in the professionals’ experience emphasizes one-on-one interactions and seeking referrals from those who already know you well. Many of us have had negative experiences with poor quality marketing (and spam), so you may assume that all marketing is bad, unwanted, or intrusive. Some health-care professionals believe that their quality and professionalism “speak for them:” patients will naturally come to their door. It is time to look beyond these traditional ways of growing your health care practice. It’s true that referrals and personal efforts are effective marketing methods. However, they are slow and require your direct personal time and effort. If you’re interested in growing your practice more quickly with a lower time investment, then you need a new approach to marketing. We recommend email marketing as the most effective channel. Why Email Marketing is Valuable for Your Patients? It’s clear that email marketing is good for your practice. Does that benefit come at the expense of your patients? No, it doesn’t. Remember that your patients and clients count on you to provide advice, procedures and services to enhance their health. 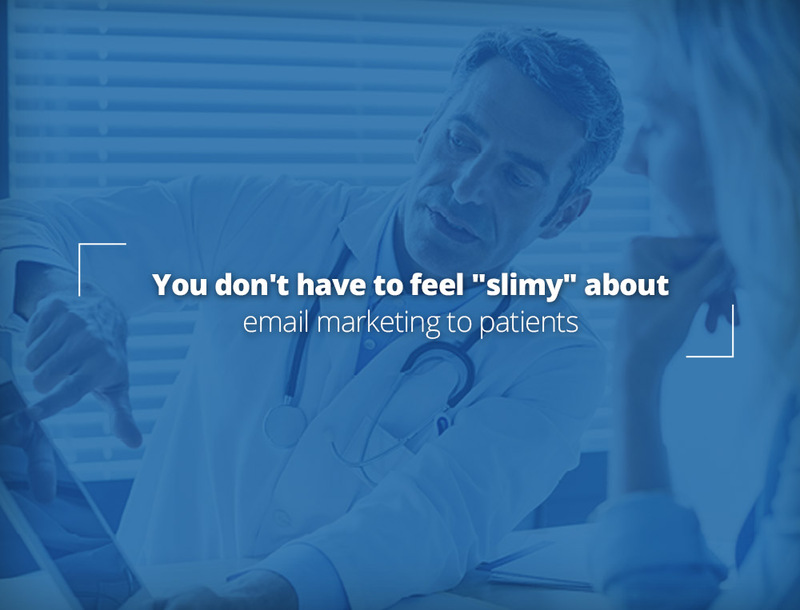 Seen in that light, refusing to provide helpful email marketing deprives your patients of high quality information they need to make good health choices. This perspective applies equally to most other industries. You need to ask for permission before you can add someone to your email marketing list. How exactly can you ask for permission and improve your patient’s life in the process? Note: For this discussion, I will assume that you have an email marketing program in place and you are looking to grow it further. 1. Asking At The End of Patient Visits. After you provide a service or procedure to a patient, you have an excellent opportunity to invite them to ask for consent to join your email marketing list. You could use this script to make the process easy. Professional: It’s good to see you and go through your health check up. Before you leave, I’d like to invite you to join my monthly email newsletter. Each issue covers a different health theme like how to stay healthy during international travel. I also include offers for services and products that I believe will make your health better. Would you like to sign up? Patient: Sure, that sounds helpful. Professional: Great. At the reception desk, we have an iPad where you can enter your details. Once you confirm, you can expect the first issue on the 1st of the month. Patient: Thanks! I look forward to it. If you are attending a community event, you may be asked about your profession. What’s the typical response? You might say, “I’m a doctor with a clinic on Main Street.” If the other person asks follow up questions about your practice or your advice, that is the perfect opportunity to bring up your email newsletter. Use the following script as a starting point. Let’s say you’re attending a live event like a concert. During the intermission, your spouse introduces you to a friend. How could you make the most of this opportunity? New Acquaintance: So, what do you do? Professional: I’m a physician and I help overworked people stay healthy. New Acquaintance: Ah, this is a challenge for me. I’m so busy that health often gets forgotten. I’m not sure what to do. Professional: Well, the intermission is almost over. Here’s what I suggest – go to the website on the bottom of my card and join my monthly email newsletter. It has some tips and resources to get you started. If you want further advice, contact my office to request an appointment. 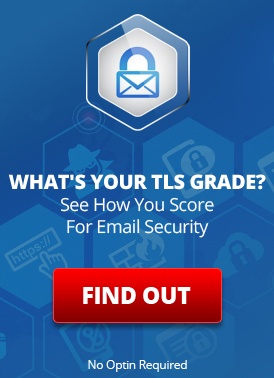 In the healthcare field, email marketing must meet measure up to HIPAA’s high standards. Let’s address the HIPAA requirements related to marketing your services and products. If you are seeking to send email back and forth about a patient’s health status, read our article: ePHI in Text Messages and Insecure Email: Does HIPAA allow Mutual Consent? HIPAA’s complexity has led some people to think that it’s just not worth the time and effort to do email marketing… That’s only the case if you don’t see value in email marketing. As we covered in a past article – HIPAA-compliant Email Marketing – email marketing is one of the most reliable ways to grow a practice. That leaves one question: when and how do you need to request patient consent? With that definition in mind, let’s look at some of the myths that may be holding you back from implementing successful email marketing. Asking a patient to sign a form giving their consent is ONE way to request consent. However, it is just one method available to you. It’s not the best way to go for two reasons. First, managing paper consent forms effectively puts an administrative burden on your staff (i.e. they have store the form in a secure location and transcribe the form content into a computer). Second, collecting patient consent for email marketing is easier to manage electronically. You can easily prove when consent was collected and demonstrate your controls. Patient Consent Insight: You can use electronic means to gather patient consent under HIPAA. In an effort to protect to you, your IT person or compliance expert may have suggested this “rule” to you. You can overcome this rule by working with a professional email provider like LuxSci and putting internal processes in place. Many organizations have done it and you can do it as well. Patient Consent Insight: If you use an email service provider with HIPAA expertise like LuxSci, you can start developing your email marketing program. Nobody likes to run out of their prescription. That’s why many health care providers remind patients to refill their prescription. Aside from reminding patients in person about their prescriptions, what digital options do you have? 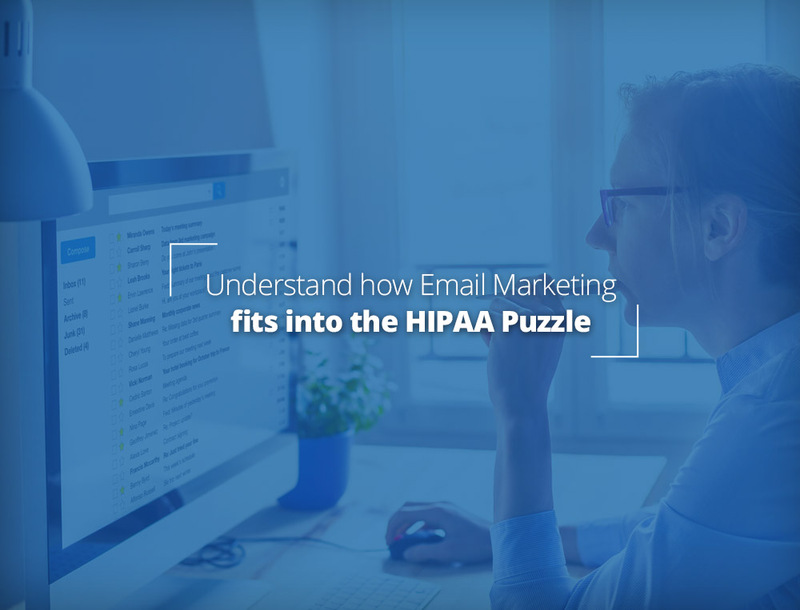 Working with an email services provider who is knowledgeable about HIPAA compliance is an excellent first step to simplify your email marketing. Contact LuxSci Today to see if our solution is a good fit for your needs. This entry was posted on Thursday, January 26th, 2017 at 8:58 am	and is filed under Email Marketing, LuxSci Library: HIPAA. You can skip to the end and leave a response. Pinging is currently not allowed.